Liverpool have tied down yet another one of their talented youth prospects with a well-deserved new deal at the club. 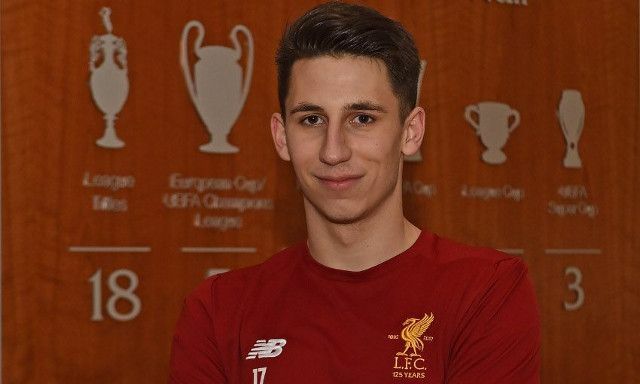 Kamil Grabara has committed his future to the Reds by signing a long-term contract, as confirmed on Liverpoolfc.com. The Polish goalkeeper’s strong impression since his arrival from Ruch Chorzow in 2016 has seen him emerge as a prominent figure across the club’s various age brackets. Still only 18-years-old, Grabara has featured for the U18s, U19s and U23s, as well as earning a first-team appearance in last summer’s pre-season clash with Tranmere Rovers. “Obviously, I’m proud, I’m really happy,” he told Liverpoolfc.com. Grabara needed less than a year to demonstrate the potential capable of helping him compete with Simon Mignolet and Loris Karius. His ambition has also been evident from the start, with the teenager displaying no signs of shying away from pushing for minutes in the senior team. Having already moved ahead of Shamal George and Caoimhin Kelleher in the pecking order, he has every right to eye up the next competitor. Agile, quick off his line and a reliable shot-stopper, Grabara has proven to be a solid foundation to Liverpool’s high-flying youth teams this season.